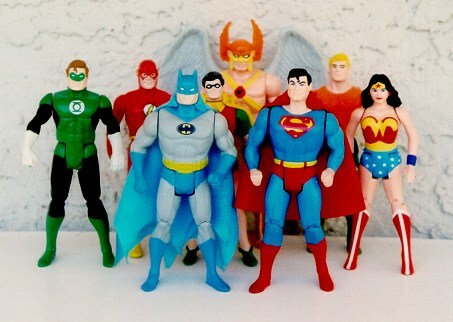 Batcave Toy Room - Better Living Through Toy Collecting: How Do I Insure My Toy Collection? How Do I Insure My Toy Collection? If you are are like me and most toy collectors, you probably keep your toy collection and collectibles in your home. Not only is this an inexpensive manner in which to store your bulging collection, it is also advantageous for insuring your memorabilia against such disasters as fire, flood, earthquakes, Death Star Super Lasers, Acts of God, etc. Under the terms and policies of most types of homeowners insurance policies, private toy collections are covered along with all other personal possessions such as furniture, clothing, appliances, etc. that comprise insurable properties. However, just as it is wise to photograph and inventory items in your house that may be damaged due to unforeseen events, it is prudent that you inventory your toy collection as well. The best way to do this is to keep a running log of the type of item, the date of purchase and its relative retail value and condition. Conscientious toy collectors may desire to take individual photos of their collection for safe keeping, but group shots are perfectly acceptable for insurance purposes. Such a collectibles log is also an invaluable reminder about what items you have and don't have in toy collection when you have your doubts. Having a toy blog like The Batcave Toy Room is a great way to do just that. If you are renting, I would suggest having renters insurance to protect the contents of your home and toy collection. A renters policy works the same way as the homeowners policy for contents and possessions. Great advice John am sort of lucky in the fact that my collection of things are so small and no where near as rare or worth as much as others that i can easily replace anything that would get damaged. Jboy- Thank you sir. Well, collections were meant to grow and the older your items get, the rarer and more valuable they become. Colin- I would definitely check. Not only do your toys bring you joy, but they are also assets. I am working on some Kenner Super Powers posts. I am also working on filling in the gaps in my Super Powers Collection, along with my vintage Star Wars and Mego collections too. Stay tuned. Debs- Thank you. You are absolutely right. That's a great idea. Thanks for sharing.